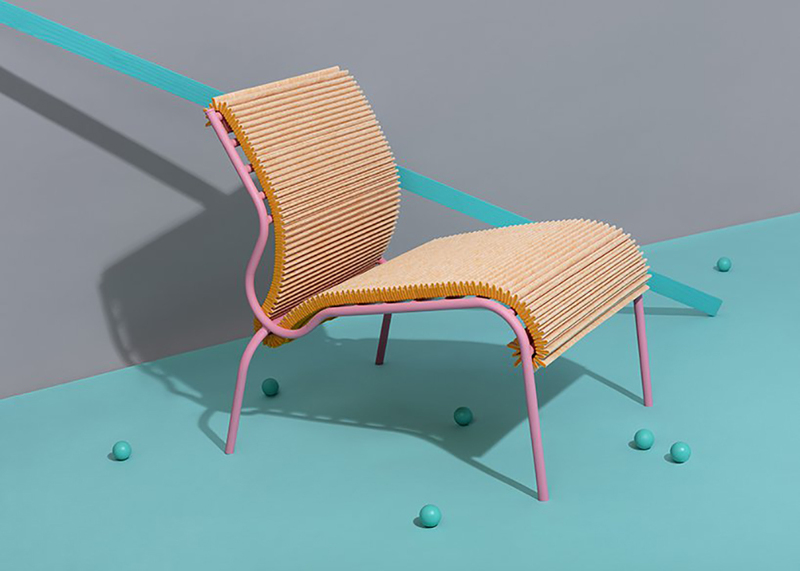 Joris de Groot is a designer searching for the tension between craftsmanship and industry in his work. 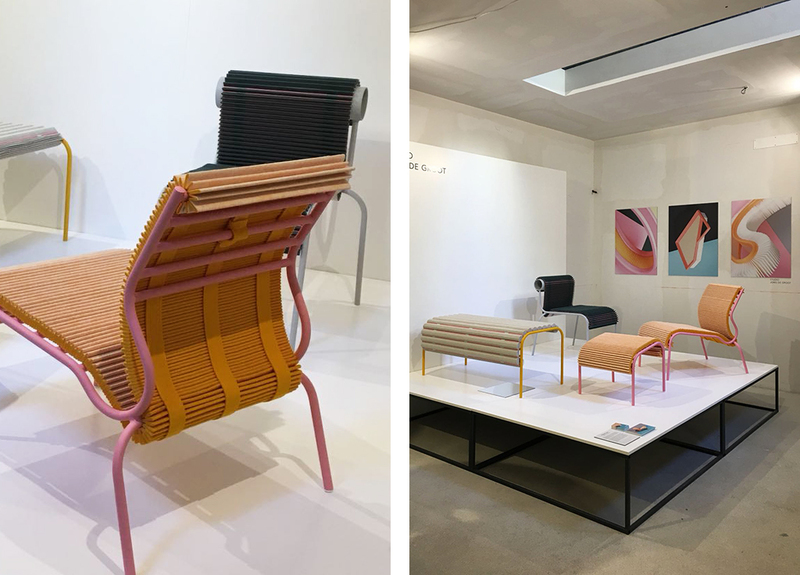 Interested in collaborating with the industry, De Groot creates his own workplace within the factory grounds. 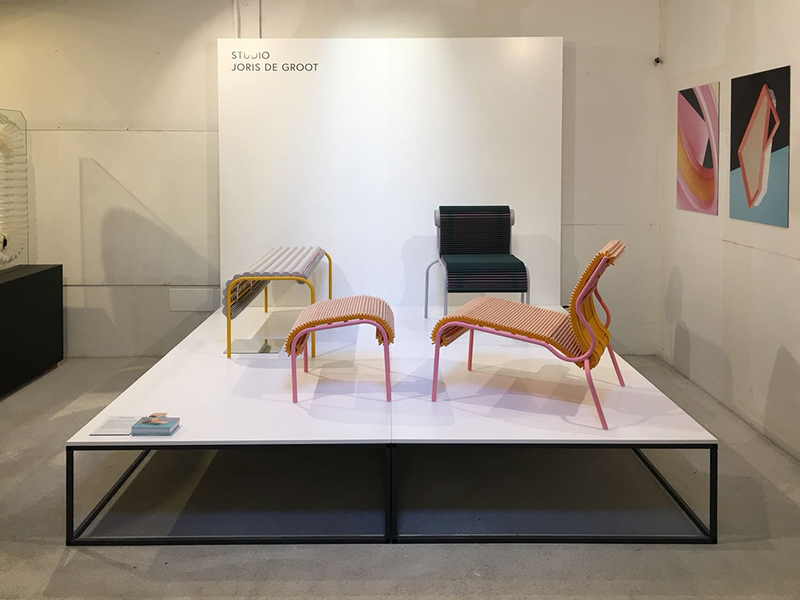 Once familiar with the process of the existing techniques, De Groot experiments with the available machinery and materials for new innovative uses. 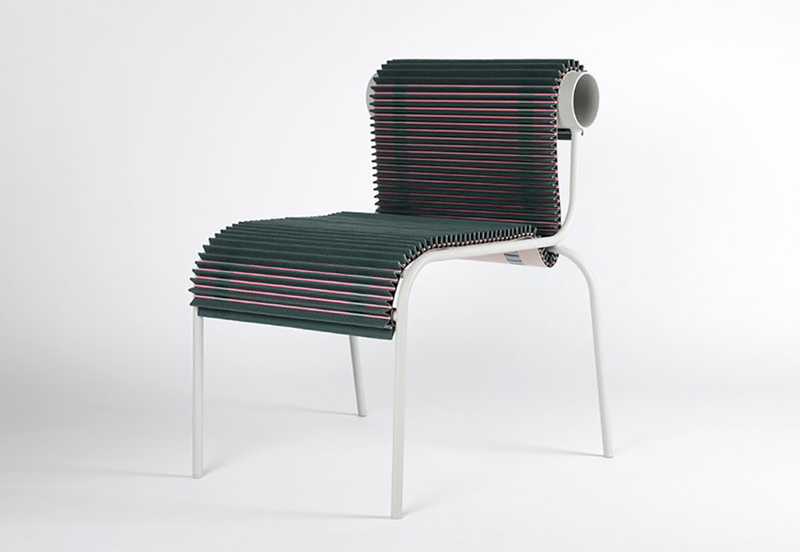 For the Pleated Seat collection Studio Joris de Groot was inspired by the production processes of air filters, a product partly made of Colback. 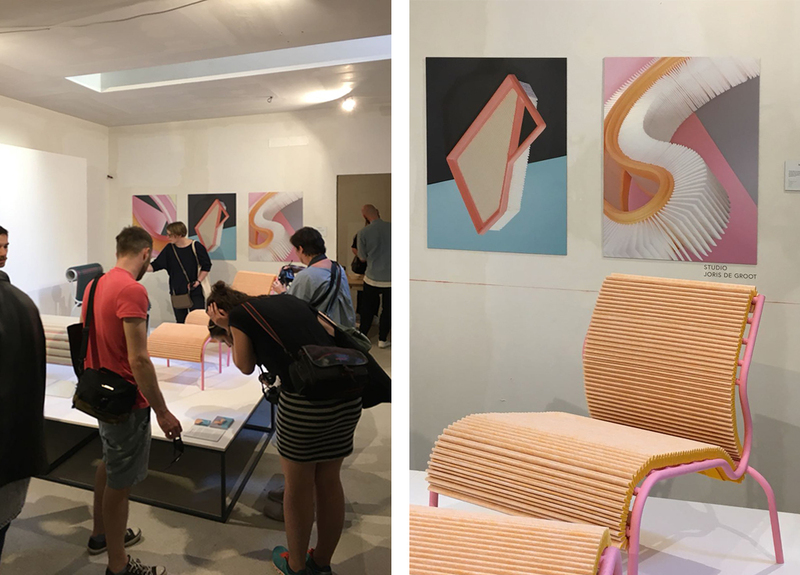 Inspired by the construction of filters made of different layers and materials, Joris started his research for designing a new product. 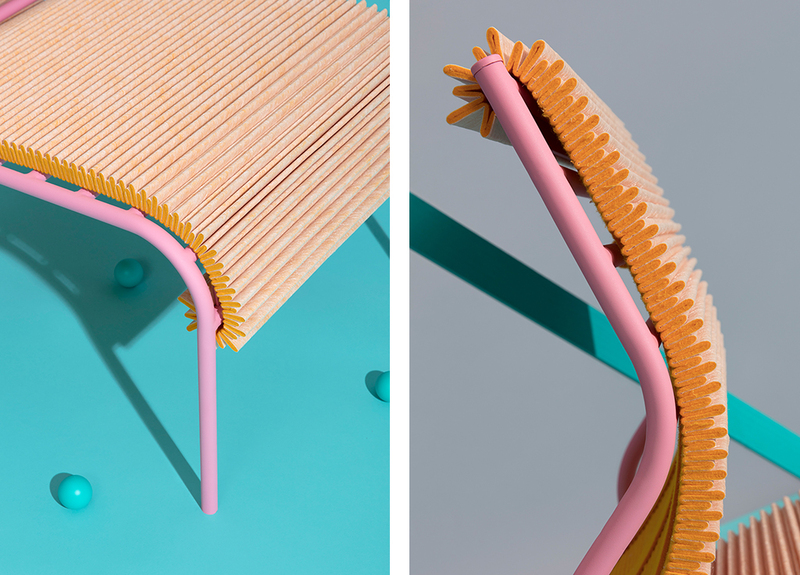 Especially the structure of the pleated Colback and the strength that this material brings into the product, was key for the design. 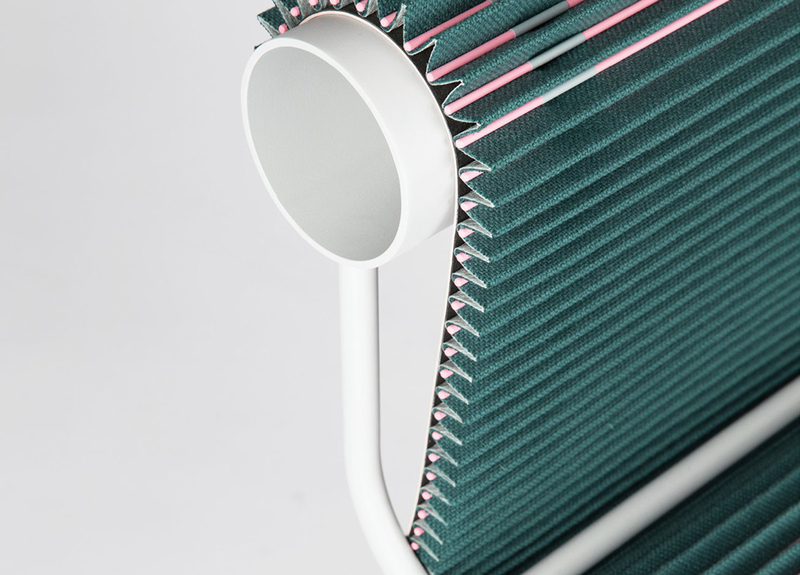 During this project Studio Joris de Groot collaborated with a factory with a specialization in laminating textiles and a factory specialized in pleating, two processes that are important in the production of filters.